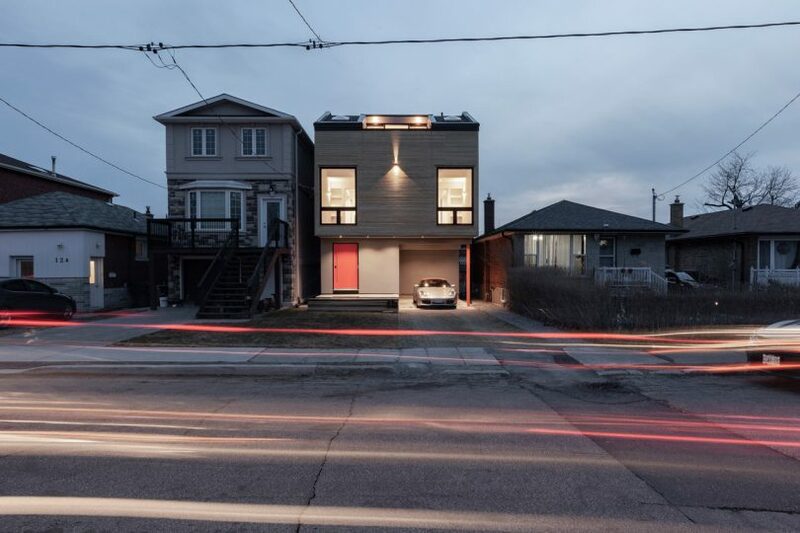 Working with a tight budget, a narrow lot, and zoning regulations, Atelier RZLBD was hired to design a home at Toronto’s Scarborough Junction. 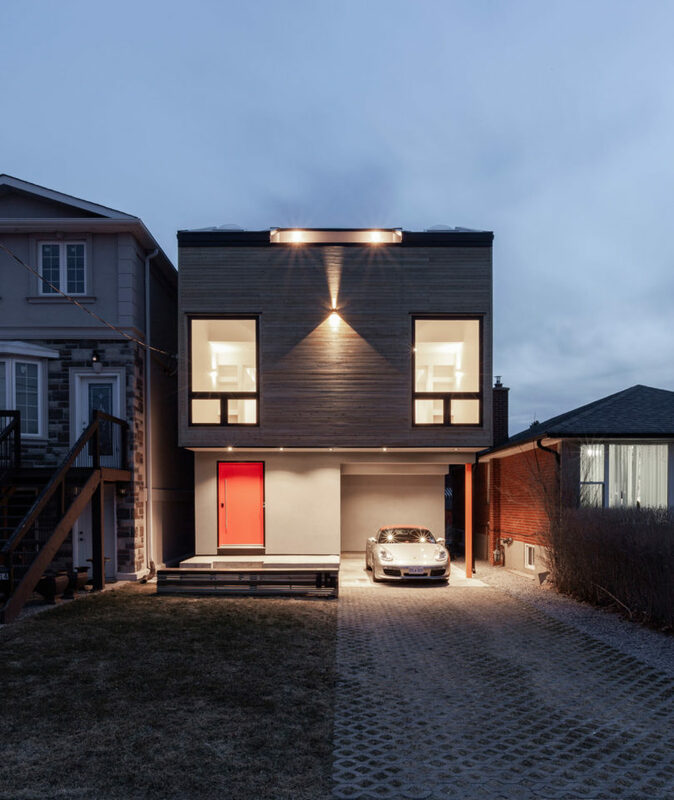 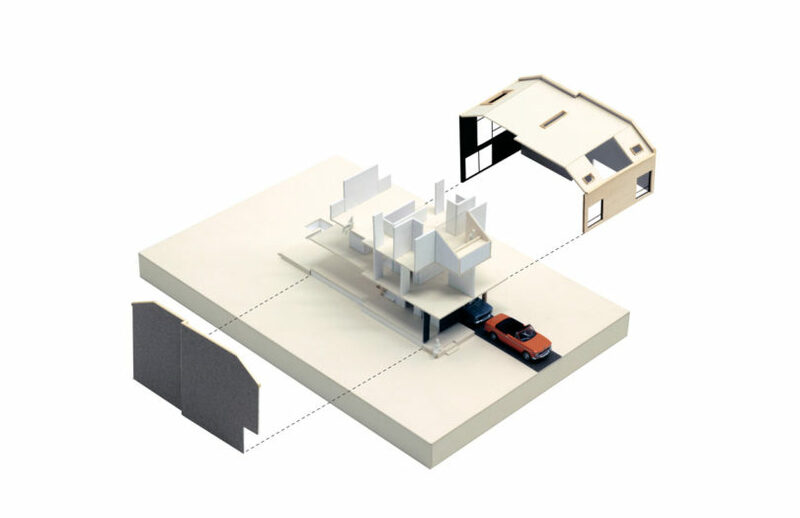 The face-like house features a cantilevered top floor with two asymmetrical windows that look as if they’re gazing at you, which is where the project gets its name, Gazing House. 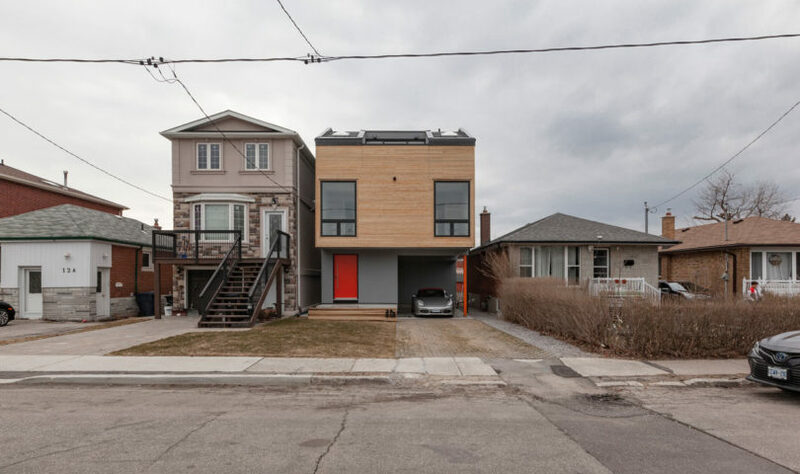 The modern design is surrounded by traditional Torontonian infill houses where it offers a glimpse at what the future look of the neighborhood could be. 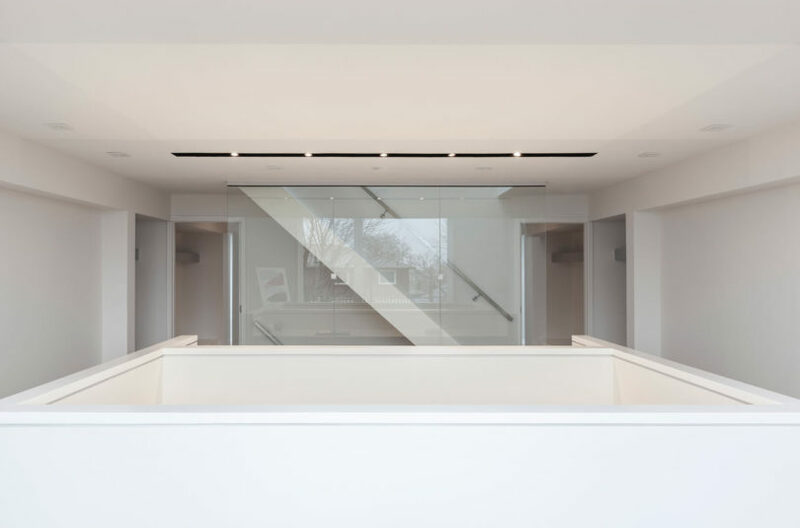 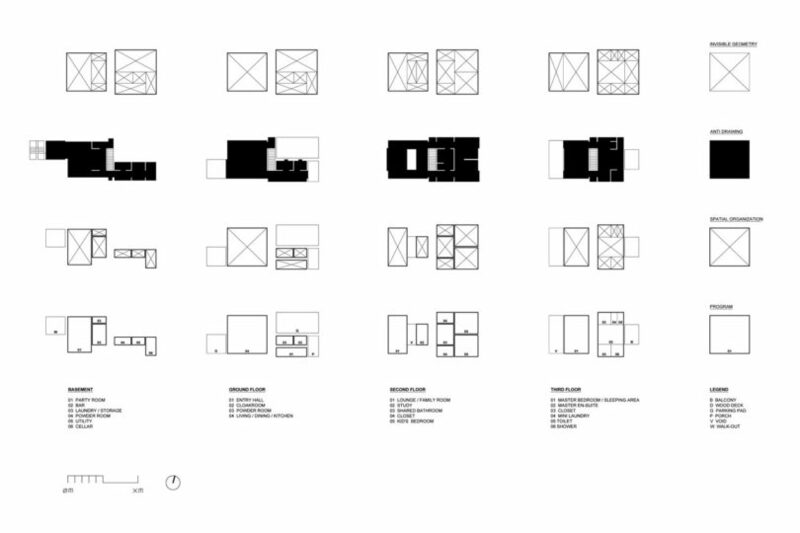 The property has an east-west orientation which reduces the amount of natural light that enters into the front and back of the house. 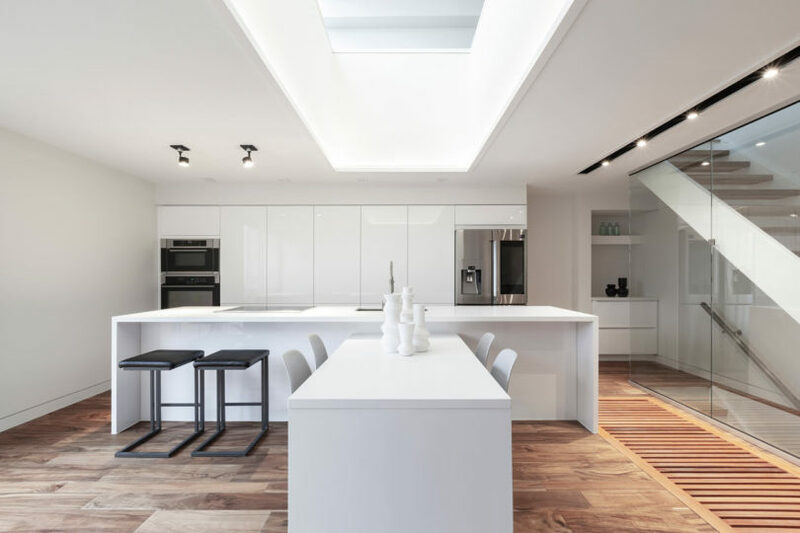 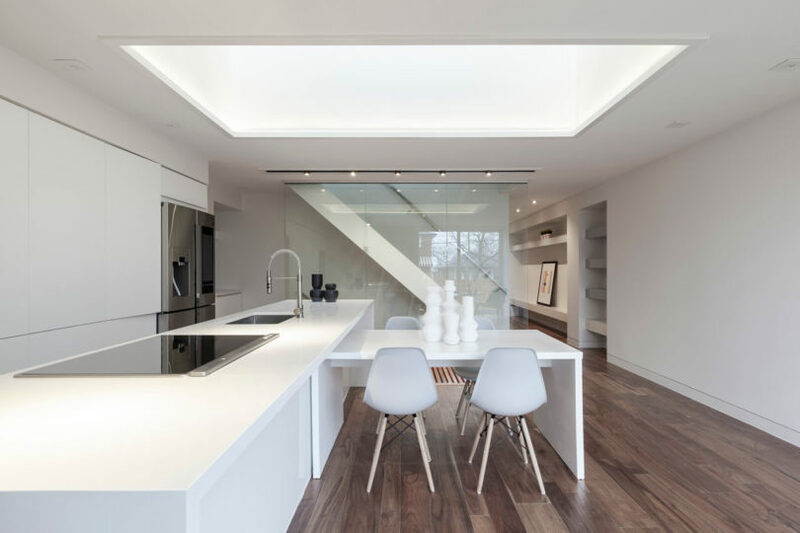 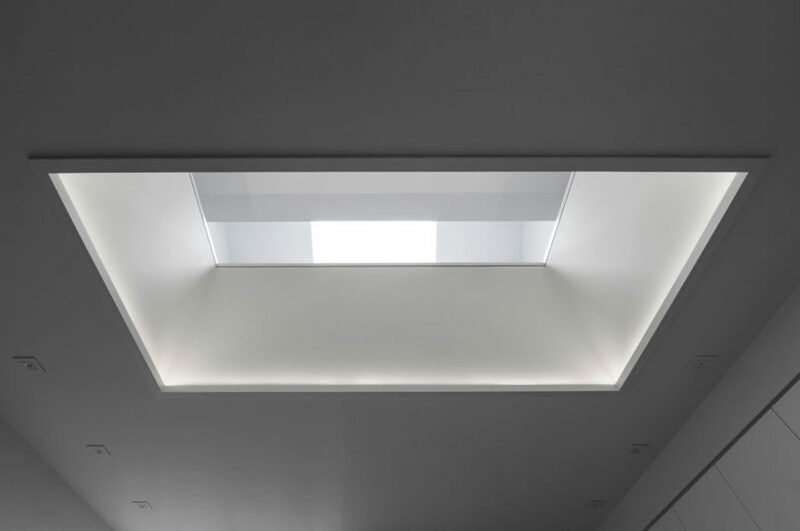 To remedy that, skylights were installed to light the entire house all day through various openings built throughout. 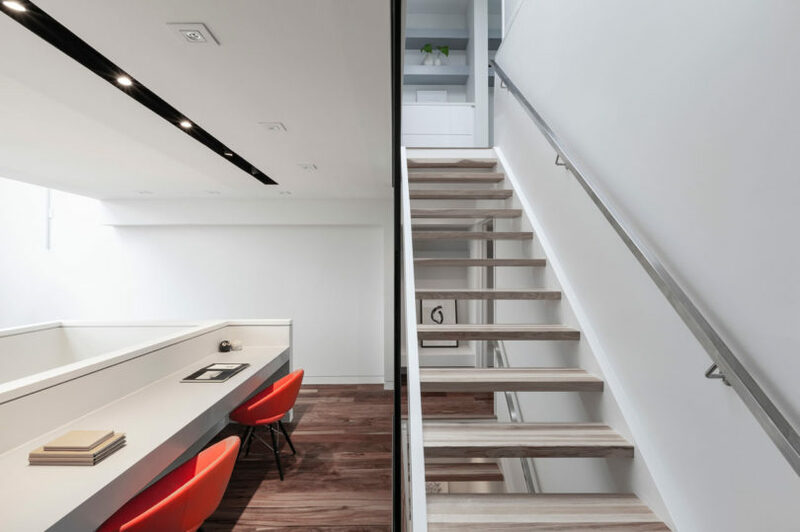 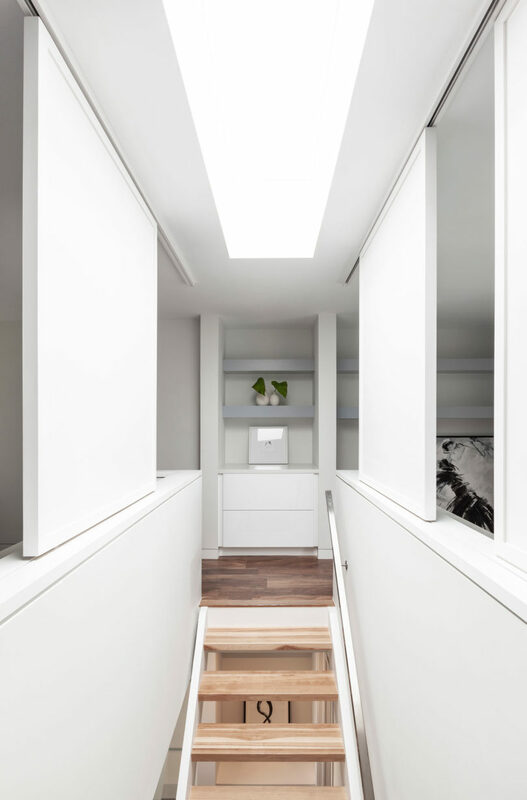 The staircase is centrally located acting as a divider, or transitional point from the front and back parts of the house, as well as between floors. 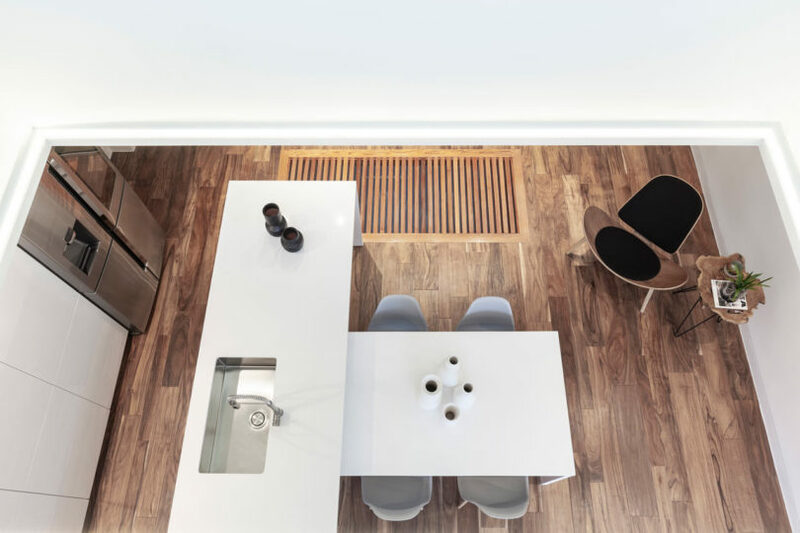 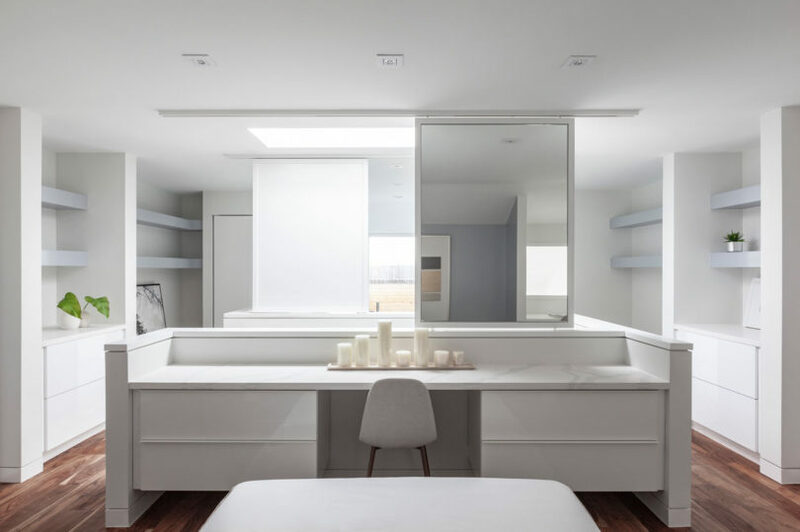 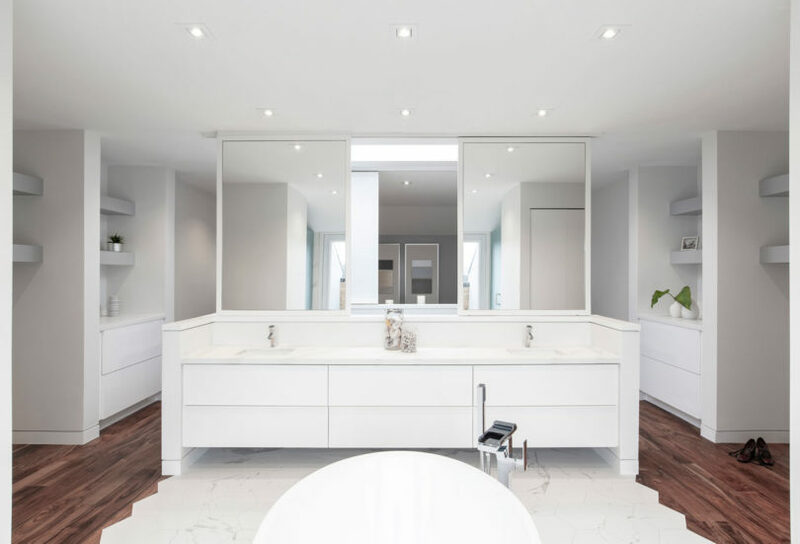 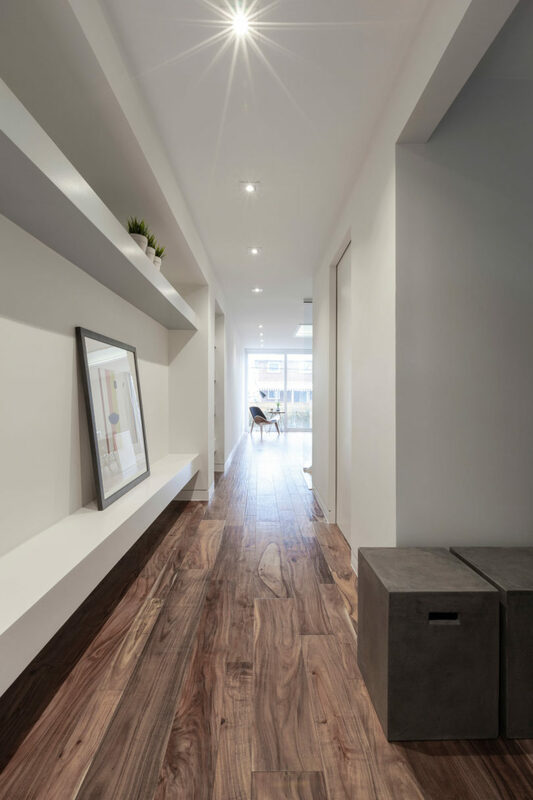 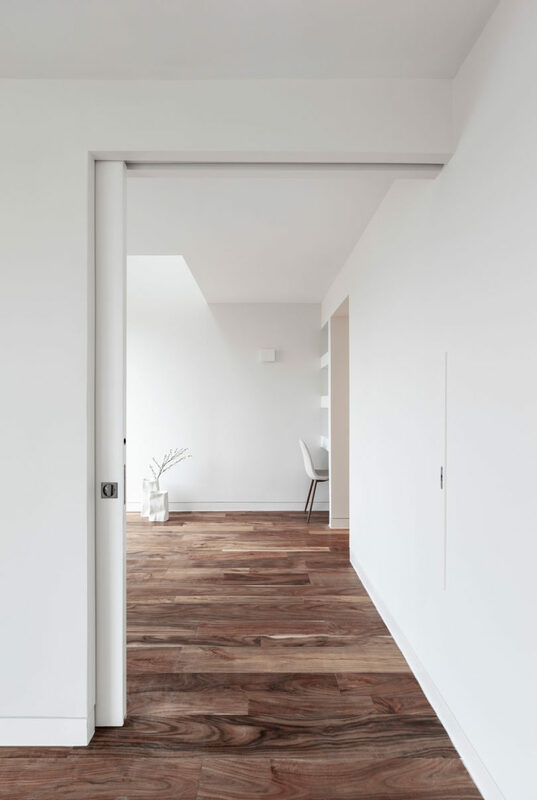 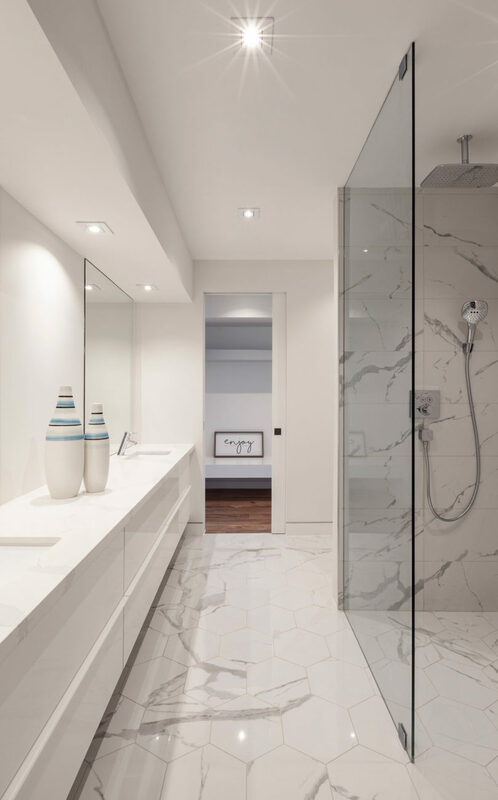 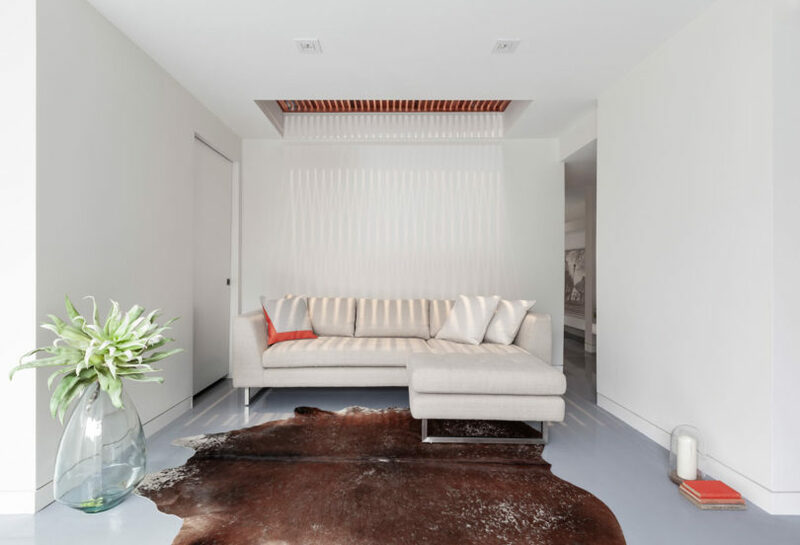 The interior sports a clean, minimalist aesthetic with all-white walls and surfaces, along with warm wood floors that add texture to the contemporary surroundings.